If you’ve been trying to cut the cord and are looking into cable TV alternatives, you probably wondered about that as well. You can find all sorts of popular movies and TV shows, like Family Guy, which can be streamed on a variety of devices, from your Xbox One to your Apple TV. While the platform used to offer a free membership plan, since August 2016 customers have had to pay for a Hulu subscription. Limited Commercials Plan: You can stream content with limited commercials. For this plan, you pay $5.99 per month for the first year, and then $7.99 per month after that. No Commercials Plan: You can stream movies and TV shows without commercials. This costs $11.99 per month. 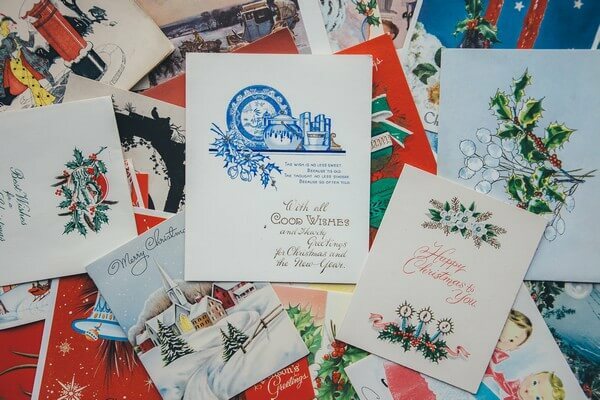 If you’re on a budget or are just trying to cut back a bit on your spending, or just love a freebie (who doesn’t? ), then you might be wondering how to get Hulu for free. Just as I explained in our “How to get Netflix for free” post about using Kodi, there also could be add-ons that you could use to get Hulu for free on Kodi, though I personally haven’t found any. That said, there are many ways that you can get a week or even a month of free Hulu. And, it’s really easy to do. Let’s check out a few methods that allow you to watch this popular streaming platform for free. One of the easiest ways to get Hulu for free is to simply take advantage of the free trial that the company offers. The streaming service allows new subscribers, and eligible returning subscribers to get Hulu free for one month. You will need to enter payment details to get this free month, so if you don’t want to pay for the next month’s subscription, then make sure you remember to cancel it before it is due. If you’re wondering how to get free Hulu Plus without a credit card, then this is a good option, because the company allows you to select PayPal as your payment option. You can sign up for a free month of Hulu here. Whether you want to know how to get Hulu for free on android devices or your Xbox One, you’ll definitely want to check out coupon websites. Aside from signing up for the free trial offer, another good way to get Hulu for free is to use coupon websites. These websites offer a variety of discount codes, coupons and promo codes that get you money off a Hulu subscription and free periods of the streaming service too. Retail Me Not is one of the most popular coupon sites where you can find promo codes and coupons for almost anything you can think of. It’s a platform where you can find tons of coupons, discounts and promo codes for all sorts of products and services, including Hulu. On Retail Me Not, you can find a variety of Hulu coupons, such as promo codes for one free month or two free weeks. Another good coupon website you should check out if you’re looking to save money on Hulu is Coupon Chief. On this platform, you can find all sorts of coupons that net you a period of free Hulu. For example, there’s a “Get 2 Weeks Free of Hulu” coupon available at the time of writing. Coupons.com is one of the most popular coupon websites out there, offering deals on all sorts of products and services. One of the services it offers coupons for is Hulu. At Coupons.com, you can sometimes find a few coupons for Hulu and the occasional free Hulu Plus code. There’s not always a lot available, but, it’s still worth taking a look. Groupon is a super popular coupon platform that allows consumers to save on everything from jewelry to weekend getaways. And, it can also save you money on your Hulu subscription. Groupon offers a free 45 day trial of Hulu’s Limited Commercials plan. This is a really long free trial period, which extends the one offered by the company itself and many of those found on other coupon platforms. This offer is only valid for new subscribers, so if you’ve had a Hulu account before, you won’t be eligible for the free trial. You’ll need a credit card to redeem this free trail. Once the free trial period ends, the plan will automatically renew, and you’ll be charged the standard $7.99 rate – so if you don’t want to pay for the next month, make sure you cancel it before your free trial period ends. This Groupon deal can only be claimed once per customer, per account. A popular method for getting Hulu for free was with Microsoft Rewards. If you don’t already know, Microsoft Rewards is a rewards program. As a member of the program, you earn points for searching the internet with Bing or using Microsoft Edge as your web browser. You can also earn points when you shop at the Microsoft and Windows Stores. When you earn points, you can redeem them for a variety of rewards, like music, games and gift cards. You used to be able to use your points to get a month’s free access to the Hulu Limited Commercials plan. So, you could use your months’ worth of points you earned for browsing the web to get a month of Hulu for free, and you could do this over and over again. However, since 6/7/2017, this offer has been removed. You can no longer use your Microsoft points to get a free month of Hulu. Overall, Hulu is a great streaming platform that offers a good mix of well-known movies and TV shows, and original content that you won’t find on other similar services, like Netflix. Compared to cable, which can cost you around $100 a month, Hulu at $7.99 to $11.99 per month is super cheap. But, as you can see, if you want to make it cheaper, then take the steps mentioned above and get it for free. 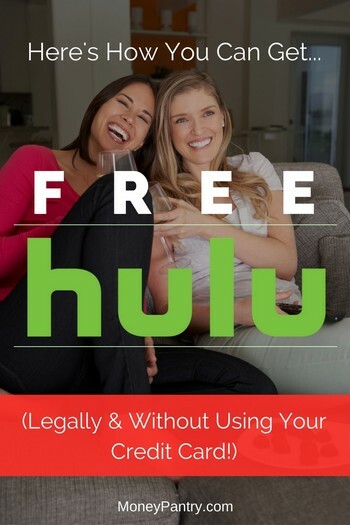 There’s no legal way to get Hulu for free indefinitely. While you can’t get a free Hulu Plus account forever, there are plenty of ways that you can get periods, ranging from one week to more than a month for free. So, if you’re wondering how to get Hulu for free, then you should definitely try one of these methods.